Thousands of people purchase items, book rooms and secure services over the internet. These transactions occur via a third party or a facilitator who operates a website or app to connect buyers and sellers. The list of sharing economy examples goes on and on and there are new sources appearing regularly. What you may not realise is that if you are earning income from any of these sources you need to pay tax. You must keep accurate records on all income and expenses. These records are needed for declaring income earned, determining tax to be paid and to be able to claim appropriate deductions. 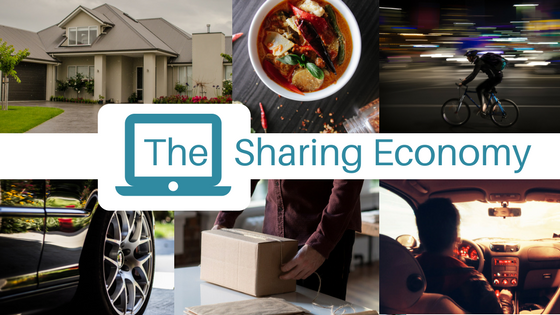 Based on earnings via the sharing economy you may need to apply for an ABN or register for GST. Registering for GST requires lodging regular activity statements. You will need to include GST in your price and provide tax invoices for any sales. There are different tax obligations based on the specific service or goods you provide. For example, all Uber drivers are required to have an ABN and be registered for GST. There are intricacies to be aware of in relation to costs when operating within the shared economy. For example, you can only claim deductions for costs involved in doing your job, not private expenses like travel to and from work. A valid deduction includes fees or commission charged by the facilitator. Understanding the requirements and obligations of working within the shared economy is where CVW Accounting can help? Our team of friendly accountants are happy to walk you through what you need to know and actions you may need to take so you don’t end up with a tax bill from working in the online shared economy. Drop in for a chat or contact our office. This entry was posted in Advice, ATO compliance, Tax Obligations	and tagged ABN, CVW Accounting, economy, expenses, GST, income, obligations, sharing economy, tax, tax return, taxation .